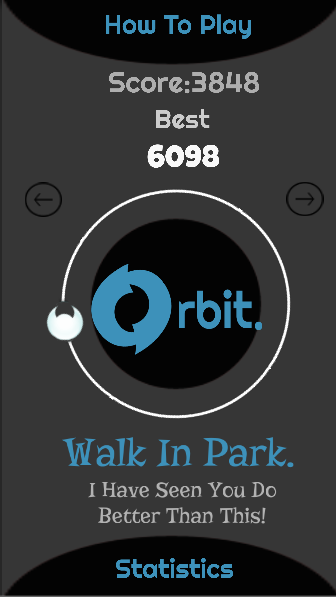 ules are Simple: -Tap anywhere on screen to switch orbits. -Don't get too close to the black hole or else u will fall in to abyss. 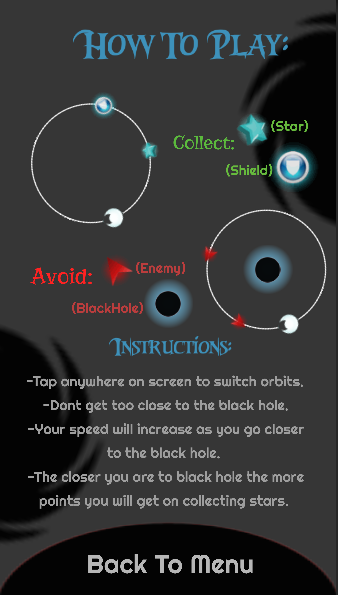 -Your speed will increase as you go closer to the black hole. 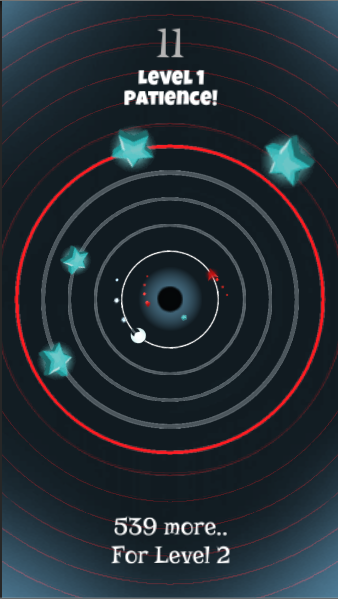 -The closer you are to black hole the more points you will get on collecting stars. With its Simple, Attractive and Easy to use GUI you will get along real fast. -Especially Added Fast Restarting/Retrying System. 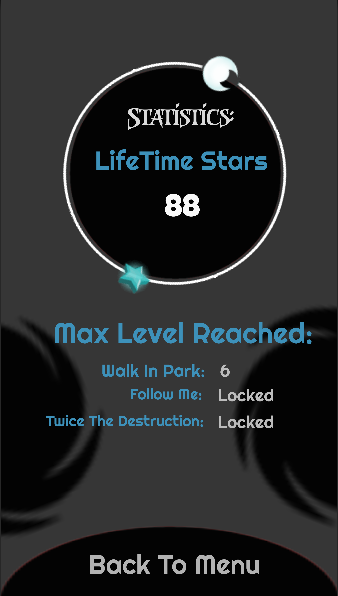 Added 3 Game Modes: 1. Walk In Park. 2. Follow Me. 3. Twice The Destruction. Just Need To Tap, Seems Simple Eh? Try Yourself and Find out. Increasing Speed With rhythm will make your head spin.